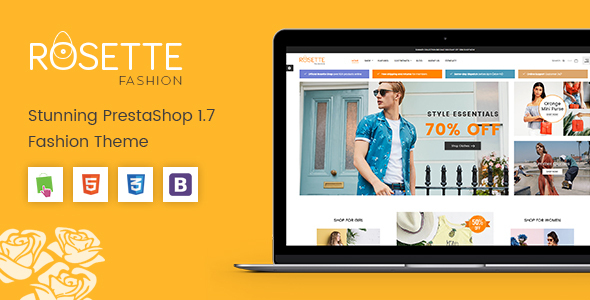 Rosette – is one of the top quality multi-purpose PrestaShop themes which can be utilized for creating modern and attractive websites like online retail store, fashion/clothing, cosmetics, jewelry, accessories store and much more. 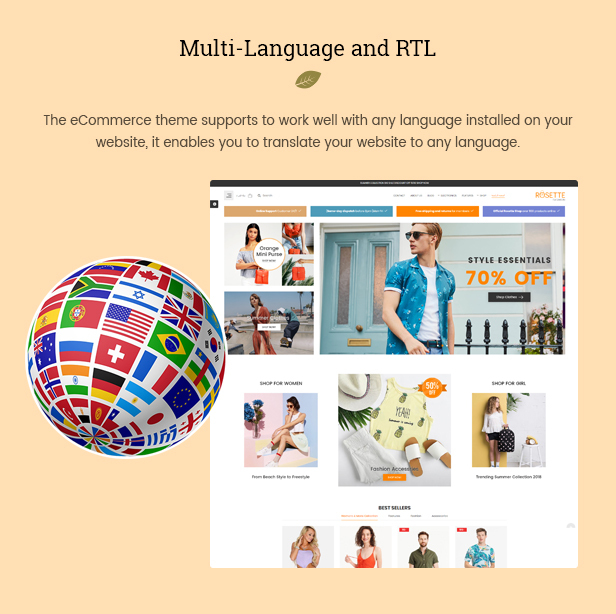 This great looking theme comes with tons of amazing features and options that will help you to create a successful online fashion related stores with very limited cost and time. Rosette is fully compatible with Smart One Page Checkout Module (worth $45) that simplifies the checkout process and makes it much easier, simpler and faster for customers. Now start telling fashionistas all around the world about your store, let’s download this amazing theme and get started!